At Corliss Landscape & Irrigation, it is our first step to prioritize nature with utmost care of its balance. With years of experience and dedication in the landscaping industry, we have sharpened our skills to be at peace with the environment that we live in. Being a dedicated and customer-centric Massachusetts landscape company, we make it a point to give back more than we take. We care more about a healthy future; therefore, we tighten our belts and perform work with full dedication so that you get the best ROI against landscape services and landscape maintenance. Since establishment, Corliss Landscape & Irrigation has been remaining engaged in exploring things. Implementation of new ideas, working on the landscapes with better designs and installation of the best irrigation facilities are some of our booming facilities for the clients, which are also turnkeys for us. Apart from Danvers MA landscaping services, we are also well-renowned as the best irrigation company and retaining wall contractors. Thanks to the highly experienced talents we have who come up with better design plans every time they’re on the field and work dedicatedly to complete the task on time. Without their continuous effort and implementational quality from the grassroots level, this success would not have been possible. 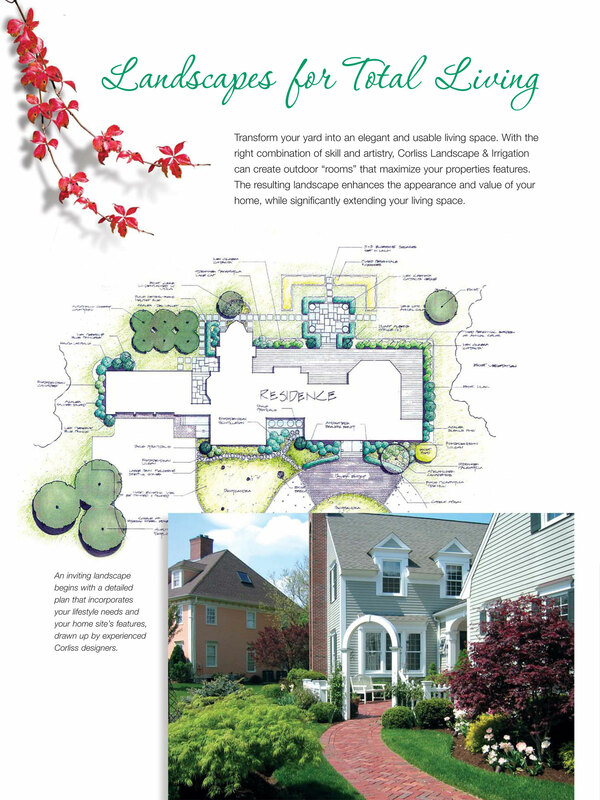 We, at Corliss Landscape & Irrigation – the steadfast landscape company in Danvers MA, welcome you to experience the exceptional landscape services, maintenance, and irrigation facility we provide. Search ‘landscape company near me’ on Google and you’ll find us right there eagerly waiting for your call or your visit to our website. Don’t forget to check out our website completely to know we do what we love to do. A simple call would be enough to know what type of Danvers MA landscaping services you want and our team will be ready to bring your dream into reality.